I've been working with Simulation Curriculum since their incorporation in 2009. I've developed a number of projects for them, using a variety of languages and development environments. 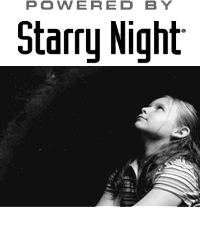 After acquiring Starry Night in 2009, Simulation Curriculum hired me to do some additional upgrades to the C++ code, including preparing their Podium product for a new release. Podium allows the Starry Night code to operate with a client/server model, one computer controlling the interface, while a separate computer controls the projector. Podium is used in consumer software such as Spitz Inc.'s SciDome.